With the initial Petersfield Directory being launched in January 2005, we have seen what is now known as The Directory Group flourish. We reach an audience of more than 105,000 homes through 10 individual publications across Hampshire and West Sussex. The Directory magazines have grown from strength to strength with 86% of our customers continually renewing because our advertising has proven results. With our suite of services continually expanding, we offer local companies advertising, social media, design services and distribution services, as well as marketing consultancy. • Our aim is simple: To help our customers win more local business and offer the most suitable advice around. • We are honest, passionate and very proactive. 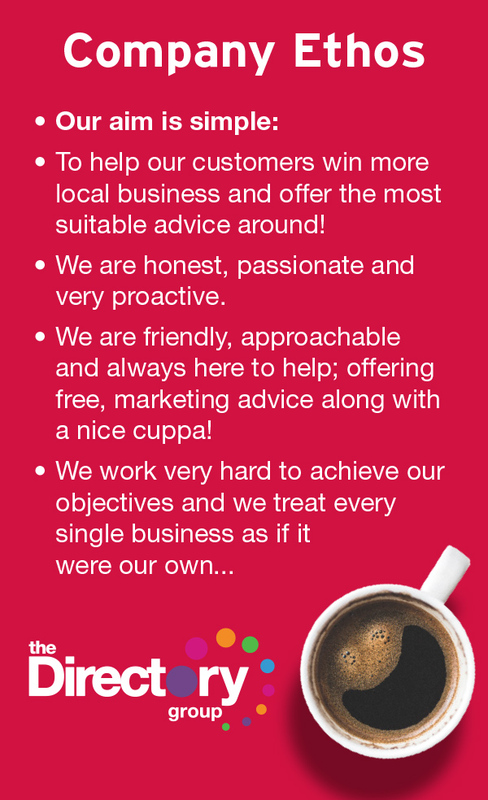 • We are friendly, approachable and always here to help; offering free, marketing advice along with a nice cuppa! We are proud to be fully engaged within our local community. 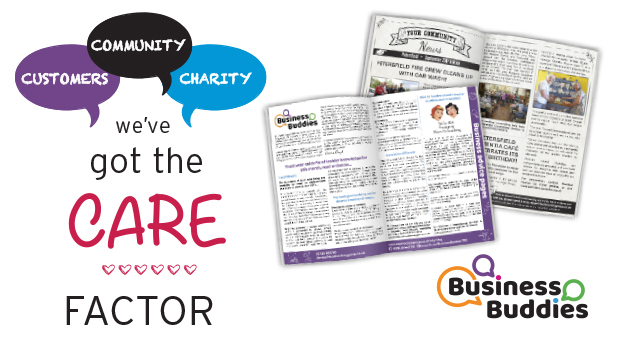 From promoting small local charity events in our monthly publications and online, to helping new local companies win more, great, local business. We offer free business advice through our Business Buddies pages within our monthly publications, and regular blogs to support local companies,here. Being the heart of our local community and help where we can is something we are driven to do. Offering support to a variety of different charities by raising money and building awareness is something we have been doing for years. We were delighted to receive a special award for a Valuable Contribution from the Petersfield based Kings Arms Youth Project, a charity set up to meet the needs of young people in Petersfield and the surrounding villages. All in all, we really do care about what’s going on around us locally. The community is at the heart of everything we do and we will strive to remain at the heart of all things local.